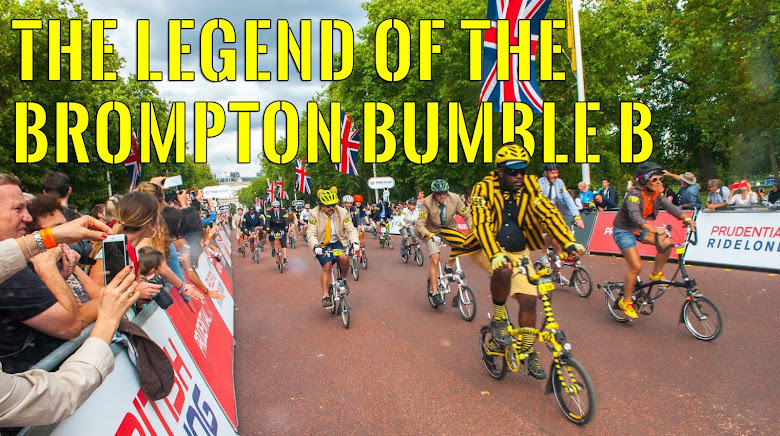 Next Sunday is the Brompton Urban Challenge by Brompton. This is another new event that Brompton are putting on which is very different to events of the past. This is not about speed (cheers!) but about orienteering skill and ingenuity. 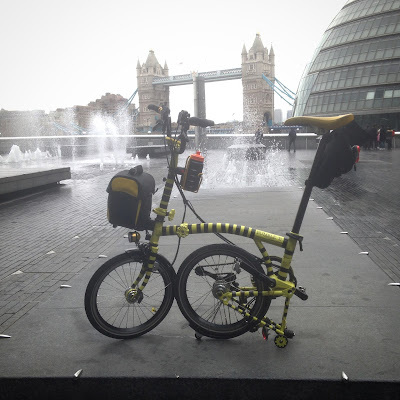 Brompton based challenges and checkpoints with clues to the next. Every completed challenge will earn the team points and the team with the most points wins. Most of the challenges / tasks will be to have a photo taken of a Brompton. At the end of the event which finishes back at the Look Mum, No Hands HQ all those photos will be on display at "Look Mum, No Hands" in Old Bond Street & the favourites will be framed & raffled with all the money going to Brompton's named charity: Re-Cycle I definitely will be looking for a good shot of Bumble B. Have fun BumbleBee! I look forward to the photos from your ride.